Dr. Matthias Weber is Head of Center for Innovation Systems and Policy at AIT Austrian Institute of Technology in Vienna. Before joining AIT in 2000, he had been working for several years at the European Commission’s Institute for Prospective Technological Studies IPTS in Seville and Ispra. Beyond his research work on foresight and the governance of innovation system, he is regularly advising national governments, European institutions and international organisations on matters of research, technology and innovation policy from a forward-looking perspective. In recent years, he has served on several EC and national expert group, including EFFLA (European Forum on Forward-Looking Activities), RISE (Research, Innovation and Science Policy Experts High-Level Group) and the Austrian FP 9 Think Tank. Currently, he is leader of project BOHEMIA (Beyond the Horizon. Foresight in Support of the Preparation of the EU‘s Future Policy in Research and Innovation) and member of the facility coordination board of RISIS (Research Infrastructure for Science and Innovation Studies). Since 2016, he has also been member of the executive committee of EU-SPRI (European Forum for Studies of Policies for Research and Innovation). 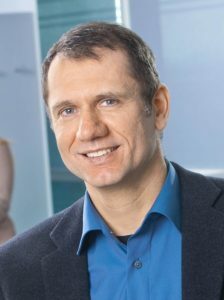 Matthias holds degrees in process engineering and political sciences, and a doctorate in economics, all assigned by the University of Stuttgart.